NYC PREMIERE An Upper East Side Hot & Crusty bakery serves as the unlikely setting for an old-fashioned David vs. Goliath story in Rachel Lears and Robin Blotnick’s rousing film. After years of exploitation, Mahoma López, an unassuming sandwich maker, leads his fellow service workers as they demand better working conditions and wages. 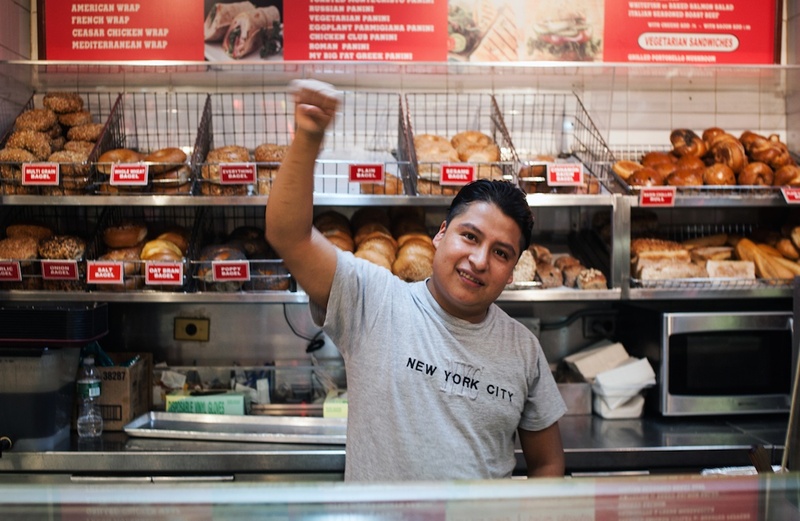 Risking their livelihood—and, for some, deportation—they take to the streets to plead their case to their regular customers, partnering with impassioned young Occupy activists in a hard-fought battle to prove the power of labor organizing.